This morning I volunteered with Village Harvest in Mountain View, CA, and we harvested about 1000 lbs of permissions from about 5 houses in about 4 hours. This produce will be distributed directly starting the next day for Mountain View Community Service Agency for people who are on various food assistance programs. I brought back some of the less than perfect fruit and put it at our local farm stand for distribution. Each time I volunteer at one of these events, I realize that if each homeowner were to have just a single produce tree, we could share the excess bounty that a single homeowner could not possibly begin to consume. 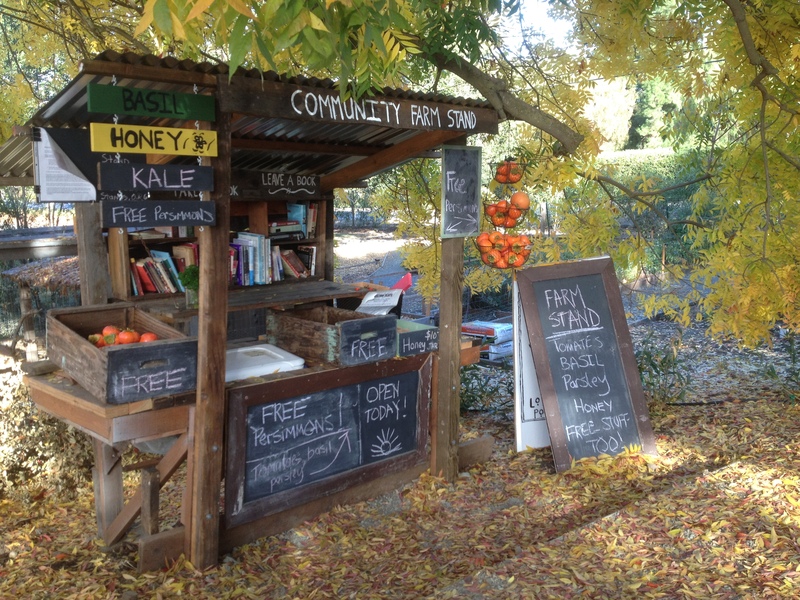 The Farm stand on Sunday 11/17/2013. 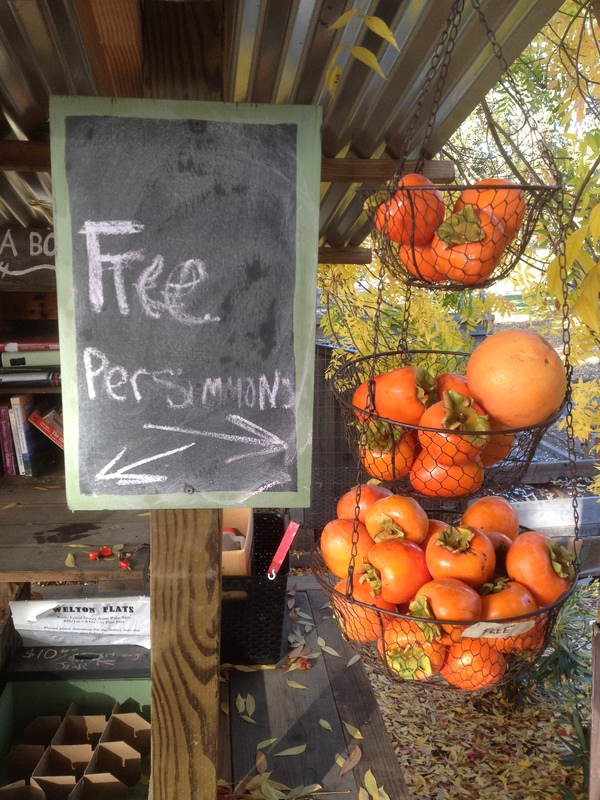 We need help distributing the persimmons harvest! Please come by and do you part!